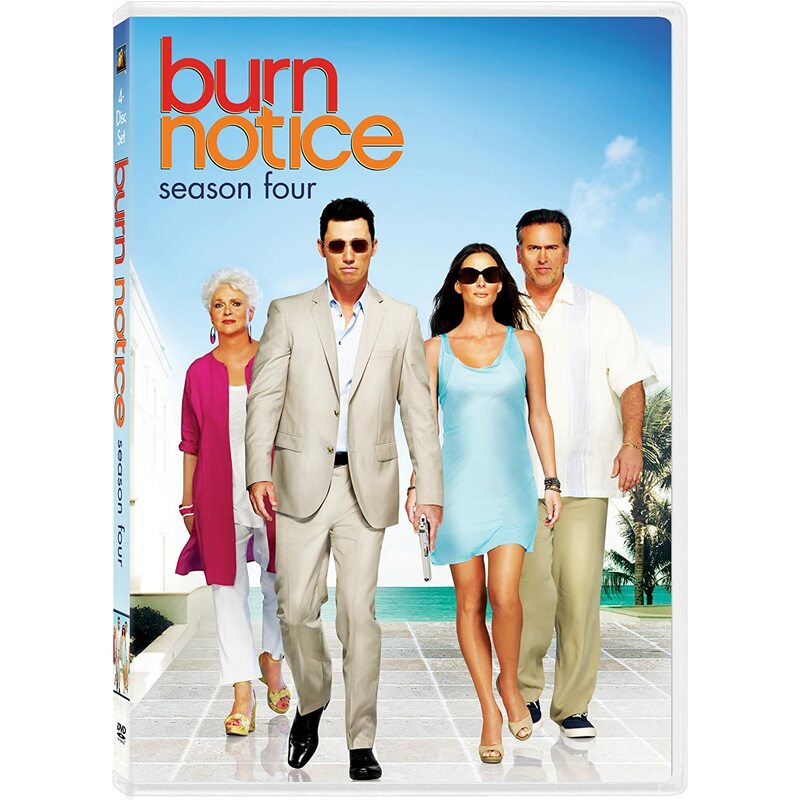 Review: Burn Notice, "Company Man"
(S0501) After four years on the run as a burned federal agent, super spy Michael Westen (Jeffrey Donovan) finally got his foot back in the door of the CIA at the end of Burn Notice's last season. As we open Season Five, it's immediately apparent that quite a bit of time has passed since we last saw Michael (six months, to be exact), as the Miami resident is partnered on a secret CIA-sanctioned mission in Canada with a completely new character named Max (Grant Show, ex-Melrose Place and Swingtown among others). The show's handy freeze frame naming device advises us that Max is a CIA officer, while Michael is a CIA "asset." Yes, even though he's back on speaking terms with the agency, Michael is still officially burned and is just classified as a civilian intelligence asset. So with Michael playing with the feds, where does that leave the rest of his crew? Fiona and Sam are still waiting by the phone any time Michael needs an assist, but last season's recruit Jesse is out! That's right, after the show spent so much time integrating him into the core group, it appears that he is no longer a regular character. He pops in briefly to present Michael's battered Dodge Charger back to him but reveals that he has joined a private security firm for big bucks even though he had the opportunity to return to his previous fed job. A surprising turn of events, but not a significant loss. It appears that the show has switched up its successful formula, and it will be interesting to see what they do with the changes throughout the season. Instead of Michael and crew helping a civilian in Miami each week, it looks like he'll be jetting off with Max wherever the agency sends them and calling in his buddies when possible. That happens in the back half of the first episode, as Michael and Max head to Venezuela to capture a baddie named Kessler who is reportedly the last living person with known information about why Michael was burned and who was responsible. Michael demands that his teammates be allowed to accompany him, and the agency begrudgingly obliges, leaving Fiona and Sam to play by their own rules to protect and assist Michael while the CIA guys follow the official script. 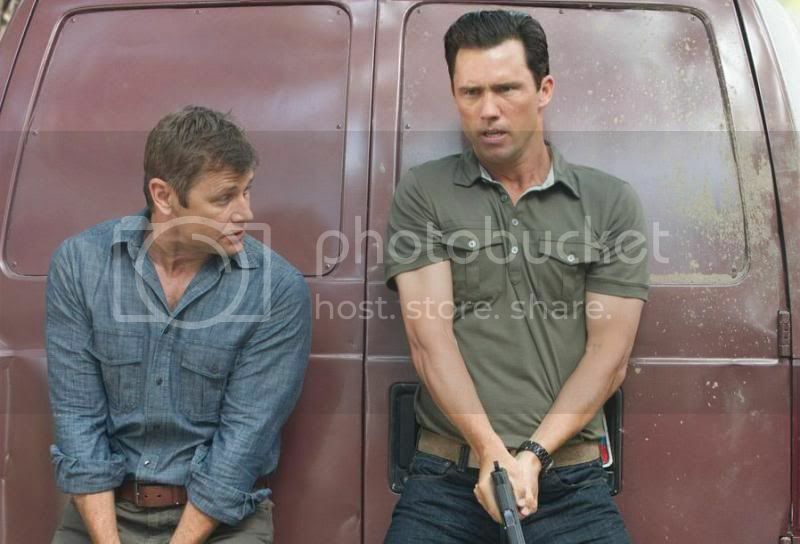 Too bad for Michael, Kessler puts a bullet in his own head before any answers can be revealed, leaving him no closer to the truth about his burn notice. I like the addition of Grant Show and he meshes well with the rest of the team in terms of relative age, physicality, and acting chops. I'm not all that sold on Michael's CIA boss, especially with his silly scraggly beard, but he brings an element of uncertainty as he's clearly untrustworthy. Nice to see Bruce Campbell still in "fighting shape" in the wake of his Sam Axe movie, looking younger than ever in this series.